Most of the customers who contact us want to get an instant answer to the question – “how long does it take to move house”. Unfortunately, we are unable to instantly provide them with an estimated duration of the house move service without obtaining all the necessary information first. There are many factors that influence the time, required for the move. Some of them are self-explanatory and people take them into consideration in advance. Others are more complex and people realise they exist after already contacting a moving company. The moving service itself takes much less time than preparing for a relocation. Even a very large-scale move rarely takes more than 2 days, while selling and buying a property may take up to a year or even more. How Long Does it Take to Move Out From a House Based on Its Size? How Long Does it Take to Move From a 1-Bedroom Flat? How Long Does it Take to Move From a 2-Bedroom House? How Long Does it Take to Move a 3-Bedroom House? How Long Does it Take to Move a 4-Bedroom House? How Long Does it Take to Buy a House and Move In? House Survey & Inspection – How Long Does it Take? Getting a Mortgage Approval – How Long Does it Take? How Long Does it Take to Move House After Mortgage Offer & Approval? How Long Does it Take to Move Into a Rented House? Selling Your Home – How Long Does it Take? How Long Does it Take to Pack a Four-bedroom House? How Long After Closing Can I Move in? Do Sellers Have to Clean the House? How Much Does it Cost to Clean a House After Moving? Can You Move Into a House Before Closing? How Long Does it Take to Move Into an Empty House? The time required to complete a house move service from a 1-bedroom flat is 3 – 4 hours without booking a packing service. The average time to move house from 1-bedroom flat, with packing service from the moving experts takes about 4 to 5 hours. If you have lots of belongings to pack, the whole move out process may last even longer than 5 hours. An increase of 1-2 hours is possible if the distance between the pickup and delivery address is longer than usual. The average time to move house from a 2-bedroom property is 6 – 7 hours, including the loading and transportation of all goods. If you decide to take advantage of a professional packing service, the average time, required to complete a house move of this scale is 7 – 8 hours. This includes packing, loading and transportation to the destination address. 8 – 9 hours is the average time that movers spend to complete a thorough house move job from a 3-bedroom house, including furniture disassembly and assembly. With packing service, the approximate time to complete the moving job takes 10+ hours and a whole workday is usually necessary. We advise all customers who are about to make a house move from a property with 3 or more bedrooms to book a service early in the morning so they can get the job done on the same day. For a property with 3 bedrooms or more, a Transit van is no longer the most suitable option. Instead, a Luton van should be used so you can get all household items and personal stuff loaded all at once. The hourly rates for a moving service with a Luton van are usually 25-30% higher. Contact professional moving companies and share the details of your move. Relocation from a 4-bedroom property s really hard to estimate in terms of time duration and price. Mind that it may take more than 1 day to move house if you’re living in a property with 4 or more bedrooms. Because of the complexities around such type of large-scale relocation, the job is usually completed in 2 different days. Traffic on the road and other factors may slow down the house move, ending up with a service that may require up to 3 days to complete. Busy service schedule at the end of each month may result in delays of the moving team. Buying a house is a long and tedious process, especially in UK’s largest city where the supply and demand of properties are super volatile. Buying a house might take a few weeks or half a year, sometimes even longer than this. Think about the following things, required to complete the procedure of buying a house. Will you be selling the property you’re currently living in? Are you moving into a rented property or you’re planning to buy a new one? Do you have a mortgage approval? Have you found a suitable offer for buying a property? Finding a suitable house to move into usually takes 12 weeks on average. For people who’re living in bigger cities like London, the process might take a bit longer but this is normal, considering how dynamic the real estate market is in this area. Transferring the ownership of a property from the seller to the buyer takes about 8 weeks but is possible to last even longer than this. Hiring an experienced solicitor is the key to minimising the time, required to complete the conveyancing procedure. A skilled professional will be very familiar with all requirements and possible threats of the ownership transfer process. Delayed access to documents and information that is requested by your solicitor. How Long Does Conveyancing Take With a Chain? When the property buyer is planning to sell a property first, conveyancing will certainly be delayed because there’ll be a chain. The minimum time to complete a conveyancing when there is a chain is at least 2 months. The whole process may continue for more than a year if the buyer has difficulties in finding a buyer for his previous property. The home buyer’s report and a property’s survey gives some very precious information to each property buyer who’s eager to find out if there more information about the actual condition of the property from a professional’s point of view. A customer is able to precisely calculate and additional costs for repairs and renovations, drawing information from the house inspection report. A whole house survey and inspection usually takes about 2 – 3 weeks to complete. You can choose between a building survey and a home buyer’s report. Read more about the differences between a homebuyer report and a building survey. We recommend opting in for a building survey as it is much a more detailed information of the overall condition of the property. After all, this is one of the most important purchases you’ll ever make in your life, you should not take the risk of ignoring any signs of hidden costs for repairs. Finding a suitable mortgage lender and finalising your mortgage approval takes approximately 4 weeks. The loan approval process always depends on two sides – the customer and the lender. The AIP consists of approving the mortgage in advance after the lender takes a closer look at the customer’s credit score and other important data from different documents that provide more information about the customer. Most often, when AIP is provided, it’s a sure sign that the mortgage application will be fully approved. If you’re working with a professional mortgage lender, the whole job may take only a few hours in the best scenario possible. For this type of application, the lender authorises the mortgage subject to the valuation after manually checking the application. It’s also possible to use software for automatic checking. This confirms that the property, chosen by the customer is acceptable according to the terms of the mortgage application. Generic applications from borrowers who have a decent previous credit history are approved within a day but delays are also possible under certain conditions. If the mortgage borrower is self-employed or has a high loan-income ratio, they should expect possible delays on their handwritten application approval. Once you get your mortgage approval, you will need about 6 weeks to complete the rest of the steps in order to finalise the property purchase process. Once you have the money, start looking towards a completion of the deal. You’ll have to find good solicitors who’ll help you with the conveyancing process. On the day of completion, the mortgage lender will send funds to your solicitor who will establish content with the solicitor who’s representing the seller. The conveyancing process certainly takes much longer than expected if there is a property chain. Finding a rented property takes from 30 to 60 days with the help of real estate agents. This means that at least a month is required to find a suitable property for living on a rent and move into it. If you already have a place to move into, the whole move will not take longer than a day, especially if you’ve been living on a rent before the move. Location is one of the turning points when looking for a property on a rent. A flat or a house sells much faster and easier if its location is good. The only negative is that the price of the rent is usually higher than expected.If you’re looking for a good location and an affordable price, you’ll have to wait longer than expected until you find one. Price is mostly affected by the property’s size, location and condition. Stay alert for any flat or houses which rent price seems unusual for their characteristics, it might be a scam or the actual price might be a lot higher once you show that you’re interested. Finding a property that suits your style and taste for interior design might postpone your move with weeks. Instead of looking for the “perfect one”, talk with landlords for the possibility of making improvements on your own and rent a property that is not fully furnished. Changes in schedule or delays with the moving service often occur at a certain time of the day or during specific days of the month. At Fantastic Removals, we recommend to our clients to avoid moving out in the morning and the late afternoon if possible. Traffic is most busy at that time. Choosing the end of the month for your move out date is not the best decision as well. The majority of our customers move out on the last day of their previous rent, we suggest doing it two or three days. This way you have the option to deal with any possible delays and will avoid the busiest days of the month when others move out too. How long does it take to sell my home? This is a question we hear very often from people who’re planning to move but don’t know how far in advance to book their moving service. On average, it takes from 2 to 3 months to sell your previous property in terms that are mutually beneficial. People often book a move out service with the option of pushing the date of the move forward. The final date for the move date often changes multiple times until the customers sell their old property successfully. Urban vs suburban area is an eternal dilemma for many. Working with any types of customers speaks for itself that the majority of middle-aged people prefer to leave the city and get a property in the suburban area. If you’re targeting this age group, you’ll sell faster a property in the suburban area and vice versa. It’s a huge benefit if there’s a subway or a bus station near the property you’re selling. A central location is considered to be the most versatile in terms of access to any location into the city. The better your property’s location is, the faster you’ll sell it. Average size properties for a family of 3 or 4 are easiest to sell. 1- bedroom flats are usually rented by students or people who’re living alone. Large houses and flats are too expensive and people tend to avoid them as well. Too much luxury sometimes causes people to worry about causing property damage they won’t be able to repair. The best solution is to sell a property with decent furnishing that is not damaged, contemporary and provides anything necessary for proper living. If the structure and installations are working properly in addition to the good-looking interior, you’ll most certainly not face delays in selling the property. When a seller accepts the offer of a buyer, this doesn’t mean the deal is sealed instantaneously. Dealing with buyer’s conditions may take even more than a month if they get slowed down with things such as insurance, loan approval, inspections etc. When the home survey is complete, the buyer may choose to ask for a price reduction if there’s a lot of damage to the property. In case the two sides don’t come to an agreement, the contract for the deal is usually terminated and the seller should start looking for a new buyer. If you get to this point as a seller, expect to have a delay of about a month until finding another suitable buyer. Mind that when someone’s buying your property, he’s probably doing it with the money from selling their previous home. If you have to wait for the buyer to complete a sale first, this creates a property chain and the time for selling your property to the buyer is then influenced by his own sale. In case the buyer’s chain collapses, there’ll be a huge delay in the whole deal. It may take several months until you get things done with the same buyer, so finding a new one might be the better option. The money a seller expects to receive is different from the price the buyer will have to pay because of the real estate agents commission. If the broker decides to overprice a property in an attempt to profit more from the deal, the price for the deal will be much higher than the average around. If you’re selling a property to someone who has to acquire money from another purchase and your offer is already accepted, you will have to wait for them to complete their other deal first so they can fund the purchase from. In this case, there’s a property chain that will delay the new deal until the previous is complete. Respectively, a buyer might be in a property chain because the seller is waiting to find a new house before selling his old one, the reason for forming of a property chain may come from both sides. The sooner both sides deal with the property chain, the faster they’ll complete the property sale/purchase deal between them. How Long Does it Take to Move House With a Chain? Depends on the scale of the chain if there are any issues or delays with it. If there’s a chain from both sides (seller and buyer) the house move will be delayed with months. The average time to move house with a chain is approximately up to 4 months when there is a property chain with up to 3 properties. In case there’s a break in the chain and deals fall apart, expect delays in your house move of up to 6 months. How Long Does it Take to Move House With No Chain? If you’re looking for a new home to move into and there’s no property chain at all, you can have your house move completed in 2 months or even less. Things such as hiring good solicitors, real estate agents and using the services of a professional removals company will certainly speed up the whole process of relocation. Approximately 8 – 12 hours is the standard time frame, required to pack a 4-bedroom house under ordinary circumstances. Separate all of your items in groups by type of products, size, the room it belongs to etc. This will later save lots of time when unpacking at the destination address. Make sure you discuss insurance of your items when you contact a moving company. Some removals providers provide insurance only if they pack your belongings and take no responsibility on the contents inside moving boxes, packed by you. You will be able to move into the new property about 7 – 10 days after closing the deal for property purchase. This is the standard period of occupancy that is usually negotiated between the buyer and customer. If a seller wants to remain longer in their property after closing in, a prolonged period of occupation should be legally requested by the seller and accepted by the buyer. Occupancy period cannot be changed once it’s been pointed out in a contract. The move out process should finish before the date, mentioned in the written agreement between buyer and seller. Mutually negotiated extended occupancy may last up to 60 days after closing in if both sides agree with these terms. Currently, in the United Kingdom, people who’re selling a property are not legally obliged to take care of the cleaning before they sell a property. Despite this, many do so in order to bring their tenement into a much better and saleable condition. You won’t be able to take any legal actions against sellers who have decided to cut costs (or effort) from thoroughly cleaning the property before selling it. Despite this, each seller is under obligation to remove personal belongings and furniture from the property they’ve put on sale publicly. In case you end up in a situation in which the seller refuses to remove their items from the property, you will have to arrange and pay for the service. The seller will, therefore, be obliged to cover the costs. If they refuse to do so, the buyer is in their right to take a legal action against the seller. If you want from the seller not to remove certain things, you should have this included in your contract, otherwise, he won’t have any obligation to leave it inside for when you move in. Move out cleaning prices start from about £90 for studio flats and reach a price of about £250 for houses with 3 bedrooms. 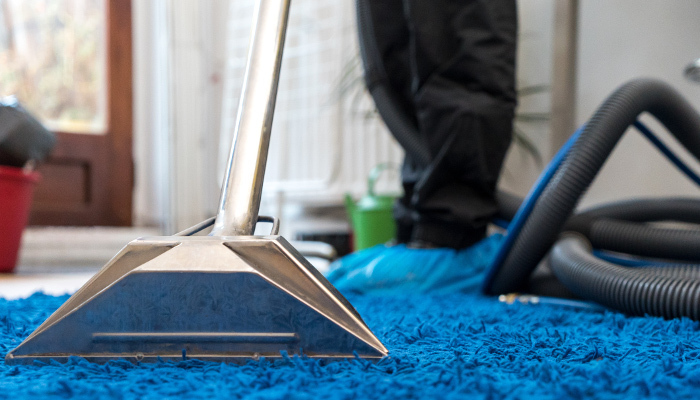 In case a property is bigger and a customer decides to book additional services such as carpet or window cleaning, the price for the whole service package may go up to £500 or even more. In case of mutual agreement – yes, it’s possible for a buyer to move into a property before closing the deal with the seller after they’ve exchanged contract. However, it is a very risky move from a seller’s point of view and most solicitors would advise their client (the buyer) not to take this action. You can read more about the consequences of allowing buyers to enter into the property before closing in this article from Independent. Mind that if you give keys to a buyer before closing the deal, it’s a good idea to make them responsible to leave the keys to the real estate agent at the end of the day. Granting unlimited access may cause additional complications before the deal is fully complete. If you’re planning to transfer the furniture from your old into your new property, don’t forget to book a furniture assembly as well. Old furniture is really hard to re-assemble on your own if you no don’t have the right tools and you haven’t kept the assembly instructions. If you’re planning to move into a council house you should first apply for a council home. Once a housing offer is offered to you, there’s a short period of time in which you have to reply if you accept or refuse the offer. In case of refusing it, you remain in a waiting list and will have to wait until a new offer.